There are many talks today around how to create a winning customer experience. It goes without saying that nowadays with increasing choice, high availability, and more standardized pricing of products, the competition has evolved into the challenge of making customers feeling positive and happy about their experience with your brand. So how do you go about winning and keeping customers? You can find a plenty of good books and articles on the web revealing secrets to creating memorable customer experiences. You can also put a great deal of time and effort into collecting and analyzing your customers’ feedback, as well as invest heavily into painstaking market research. For sure, you’ll discover something new and helpful. But it’s only the tip of the iceberg, I kid you not. It is easy to assume that you deliver a satisfactory experience to customers just because you scrutinize the topic very carefully, spend efforts and resources into creating the right strategy and do your best to get the most of it. Although we have lots of useful marketing information on the subject and many powerful tools to gather customer feedback and analyze the collected data, we don’t have the whole picture, yet. What is usually left out is whopping amount of information about what goes wrong. When a few years ago Bain & Company surveyed 362 firms, they found that 80% thought they delivered a “superior experience” to their customers. On the flipside, when the firms’ customers were asked to rate it, Bain & Company found that only 8% believed they were delivered a good customer experience. That’s a huge gap, isn’t it? How does it come that despite all the efforts the companies couldn’t achieve the desired results and were so badly mistaken about their real performance? According to Lee Resources International, for every customer complaint there are 26 other unhappy customers who have remained silent. That’s it. The inconsistency between the two surveys results comes up from the fact that the vast majority of unhappy customers won’t complaint at all, they will simply leave and never come back. However harsh this might sound, the good news is that lots of good and plausible information is available literally at every step of your way. On a day-to-day basis, we all have our own customer experiences to build on. So do our family members, friends, colleagues and many other people we come across in our daily lives. If you listen carefully and analyze your own experience, it can provide you with new and surprising insights of subtle aspects of customer experience and how to improve it. In this article I’d like to share a few insights I recently gathered as a customer or simply a visitor. When I looked back and reflected on it for a while, I decided to shape it up as a list of 10 customer experience mistakes. Some of them are fairly common knowledge, but I hope you’ll find something really useful here too. If you would like to add anything to this list of blunders, you are welcome to share your own thoughts and experiences through the comments section. I would love to hear from you. First impressions are half the battle. A poorly designed website makes it seem like the owners don’t care much about their business. Just like in brick-and-mortar stores, customers start shaping their opinions about a company right at the store entrance. If your website looks cheap and unreliable, they are going to assume that the rest of the business is like that too. And, alas, might not step any further. Solution: Make sure your website is loading correctly and fast enough. Check how your website looks like in each type of browser and if the load time is within an acceptable range. To my mind, this is not a good idea to ask your website visitors to join your mailing list. Especially, when they come to your website searching for a specific product or piece of information, and instead have to fill in their personal info and then switch to their email inbox to confirm. Not only it distracts the visitors from what they initially came for, but also makes recall the old adage “good wine needs no bush”. Solution: Give your website visitors a good reason to stay in touch with you later, when they add a product to the shopping cart or complete a purchase. There’s a great many of other ways to win their hearts and differentiate your business from competition, really. To name a few, you can add the opt-in checkbox to the order form, or include a link to the opt-in page into order confirmation email, or just encourage them to share your giveaway through social media websites. Online shopping is available 24/7, allowing consumers across all time zones, in nearly every corner of the world, browse your website any time of the day or night. If you can’t run your phone support or Live Chat non-stop, it’s understandable. But if you fail to put across information about your support operating hours, it can be a rather frustrating experience for the visitors. Solution: Don’t let your website visitors question your company’s credibility and commitment; and if you are offline, make it clear when users can expect to find you available for chat or get their order/inquiry processed. We have entered an era where website visitors are more than likely to check out your company pages on the social media whenever they have any doubts, concerns or questions. And almost everything matters in the social media space. How often do you update your pages? How quickly do you respond to visitors’ questions and comments? Are you constantly delivering interesting and relevant content that inspires your audience to interact with you? Solution: Just remember – if you are not actively using social media nowadays, it looks like you are out of business. On the contrary, active social presence can help your business grow like wildflowers, driving more and more new customers to your website. So don’t miss out on the opportunities that social networks provide for businesses. There are literally no excuses. Typos and poor grammar reveal no attention to detail. If you don’t bother to spell check and use proper punctuation, this gives your website visitors a clear message: we are so disorganized that we haven’t had time to take care of what we put across here. Solution: Realize how important it is to keep your website content professional. It’s essential to carefully check all the texts before you publish them. Don’t rely on spell-checkers too much, as they won’t pick up words that are used incorrectly. Proofread and use a dictionary to check up words if you’re unsure about their spelling. Every now and then people might contact your customer support to find out how you compare to your competition. Of course, they do not expect you to spill the beans or throw mud at your competitors. Rather, the visitors are wondering what makes your company special and how you differ from your competition. If you fail to provide relevant information about them, this might sound like your company haven’t had time to conduct the corresponding research. Actually, modern visitors are smart and savvy enough to make a few clicks away and carry out their own research. It’s a strong reason why you should care, isn’t it? Solution: Make sure you are prepared and have all the important information up-to-date. Don’t be evil. To earn customers’ trust and credibility, teach your reps to speak positively about your competitors. And besides, be super clear about your delivery, fees and refund policy if they differ from what other companies offer. At small businesses, every single employee, from the bottom line to the top, will most likely have to interact with customers at some level. It’s essential that each of them should perfectly know your products or services, and also be properly trained on at least basic customer service skills. Every customer interaction counts as it can influence your business image and reputation. Negative customer experiences spread like fire and might easily scare your potential customers away. Solution: If a customer finds an employee’s phone number or email on your website or gets to a profile on social network which states that the person works for your company, he expects to receive supportive and responsive service from a friendly and knowledgeable professional. Make customer happiness culture one of the primary values guiding your team. Put the efforts into training the entire staff to handle customer support, it can bring along many benefits. Today’s online consumers are becoming increasingly impatient and demanding, they expect you to play by their rules, providing a wide range of options at almost every stage of customer journey. They literally want the ability to pick and choose what they want. And if you fail to deliver what they need, it’s you who has the problem. Get it solved. Solution: Gather customer’s feedback and stay tuned. If there’s any payment or shipping option missing, getting it for your customers can bring you a competitive advantage. Let your customers be your development experts and do your best to meet their expectations. It’s worth it. Things happen. Customers might spend a lot of time choosing and comparing products on your site, and then leave their shopping cart for a while to search for a better deal or more detailed product information elsewhere. They also might close the browser by an accident or just decide to sleep on it before returning to make the purchase. Great many of them do not make the purchase on their initial visit. If they lose what they have carefully picked up, they would feel like the time was sadly wasted. And they won’t have a good reason to come back to your website. 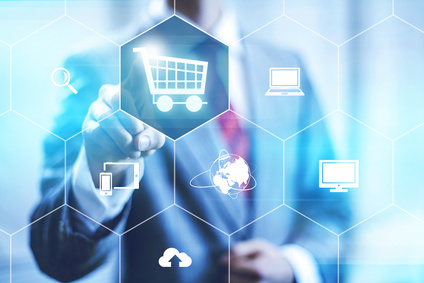 Solution: Be sure to check out best practices for online shopping cart persistence. If shopping cart sessions expire in your system if there is no activity for a specific amount of time, put a clear message about it. Consider including a Save option or a Wishlist feature as well. No matter how pleasant an initial customer experience could be, sending too many follow-up communications can hurt. In fact, sending dozens of email newsletters or SMS text messages is a sure way to annoy your customers and push them to opt out. I believe it’s definitely not what your marketers intend to get. Solution: Respect your customers’ time and don’t act like spammers. Think twice before sending any communications and make sure it’s easy for customers to opt out if they wish. Do you believe these customer experience mistakes are real blunders? Are there any other things you would like to add to the list? Share them with our readers. And as always, thank you for reading our blog! This entry was posted in Articles, Best Practice, Tips and Tricks and tagged customer experience, customer experience mistakes, e-commerce. Bookmark the permalink. I think the best way is to first SEO our site and then when you got visitors then make your site very impressive with very competitive rates. definitely customers will reach you for good service. Thanks a lot! I would try to avoid the most common issues. But it doesn’t protect me from all. Ta least I could say I tried. Really enjoyed your article. I am totally agree with your all points. Here, I would like to say about a mistake that need to avoid on eCommerce sites that is neglecting mobile. Now mobile friendly sites has been prioritized in Google search results. So mobile should not be neglected. Most of the people now prefer online shopping on mobile so they can shop whenever and wherever they want. A mobile friendly site makes customer browsing easier and convenient for customer. According to Google, 60% of eCommerce traffic comes from an iPhone and iPad. So, a mobile friendly site is necessary in eCommerce. Thanks a lot. It’s so helpful. I will try to avoid this kind of mistake. I fully agree with you. Most of the time we do these kinds of mistakes. As a result, we don’t get a better result. Thanks a lot to discuss such an important topic. You have shown a common mistake which we do more. Thanks for detect that and thanks for to help us not to do that mistake again.